As the leading company in the Chinese condiment & sauce industry, Haitian is a professional maker and seller of flavoring products. 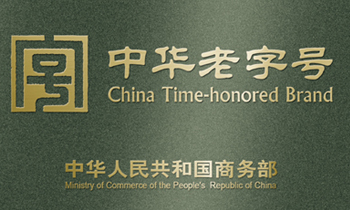 Originally known as Foshan Sauce Shop flourishing during the Qianlong years in the mid-Qing Dynasty, we have a history of more than 300 years that it is one of "Chinese Time-honored brand"companies first to be honored by the Ministry of Commerce of the People's Republic of China. Currently, Haitian has hundreds of products in more than 300 specifications, covering series of soy sauce, oyster sauce, paste, vinegar, cooking wine, sauce, chicken extract, chicken powder, fermented bean curd and etc. 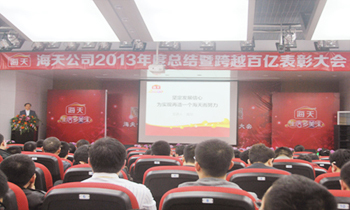 The annual output exceeds 10 billion RMB. With the mission of “developing a career in flavoring industry and creating a perfect life”, we have always been committed to the heritage and innovation of traditional brewing process with modern scientific technology. We have established large-scale glass sun-drying pools and fermentation tanks with an area of ​​over 600,000 square meters, specially for brewing high-quality soy sauce in the sunlight. We have a number of world-leading automated packaging production lines and the industry-leading nationally accredited laboratories, which help us to implement the quality standards more rigorously and to build the world-leading condiment production base. Haitian products is safe to eat, delicious, and high-quality, so they are not only best selling in China's domestic market, but also exported to more than 60 countries and regions in the world. To promote the food culture and bring life different tastes, Haitian is committed to introduce Chinese food culture to the world, providing high-quality products, letting more people to enjoy the delicious and letting more families to enjoy the happiness of life. Haitian is a public company listed on the Shanghai Stock Exchange of China (stock code 603288) and also one of the Chinese listed companies first to be included in the MSCI Index in China. Haitian ranked 468th among the 2017 Fortune China 500 companies with its ROE ranked 9th in the country. In 2017, Haitian generated revenue of 14.584 billion RMB and net profit of 3.531 billion RMB, respectively rising 17.06% and 24.21% over levels of a year ago. Traced back to the Foshan ancient sauce shop during the reign of Emperor Qianlong in the Qing Dynasty, Haitian has a long history and profound cultural accumulation. In 1955, it became a joint state-privately operated company, establishing Haitian Soy Sauce Factory. From then on, it has been developing from a traditional family workshop into a modern production base step by step, from small to large, from scattered to centralized, from the region to the nation. Haitian’s sales revenue exceeded 1 billion RMB in 2001, 5 billion RMB in 2009, 10 billion RMB in 2013 and 16 billion RMB in 2017. For more than 60 years after several transformations, Haitian still adheres to the principle of “quality-oriented” as its core competitiveness direction and “Being plain to follow the good and keeping practically innovative” as its core corporate value. We always commits to the heritage and improvement of traditional brewing process, providing more people with high-quality Haitian products. And we have built up a relatively robust "Chinese-style flavor" product family. Since the “two five-year” plan, we have been focusing on "training all personnel to be skillful and building up the classic of Haitian" and sticking to our core corporate strategy of "quality-oriented" to constantly improve product quality and service through product development, quality control, product packaging, product purchase and product usage to achieve better consumer experience, so as to continuously develop ourself in a sustainable and healthy way. Haitian's competitiveness is the essential of Haitian's production. 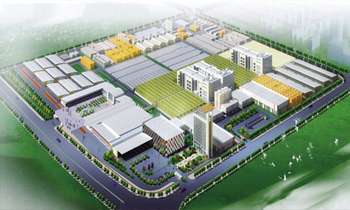 Our advantages of products, networks, R&D, and scale make us competitive in the industry. And we will maintain and strengthen these advantages in the future. The most important one among all advantages is quality undoubtedly. In the past, we became successful because of good quality. We believe that we will be more successful in the future also because of the enhancement of our quality advantage. At a new historical starting point after achieving sales revenue of 10 billion RMB and successfully going public on A stock market, we proposed the plan of “Rebuilding a Haitian” as our 2nd five-year plan which aims to double our scale and profit in 2018 based on the achievement of 2013. And we will continue to maintain the sustainable, healthy and stable development, and to solidify our leading position in the condiment & sauce industry by further strengthening our advantages in soy sauce, oyster sauce, and sauces and accelerating the development of cooking wine, vinegar, composite sauce and other potential products. When adhering to developing condiment business as our core priority, we will also make full use of Haitian's platform and advantageous resources to accelerate the expansion of new businesses and to constantly create more advantages. 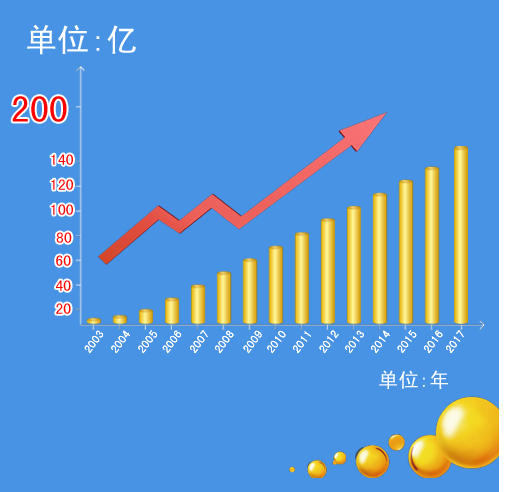 In 2013, our sales revenue exceeded 10 billion RMB and we were the first one to do so in China’s condiment & sauce industry that we created a miracle again in the condiment & sauce industry. However, 10 billion RMB is not an end point that in the same year we proposed a development plan of “Rebuilding a Haitian” for the next five years, which is to achieve sales target of 20 billion RMB by 2018. Haitian intends to go public for better development. The funds raised from the listing will be used for the expansion of Haitian Gaoming project with capacity of 1.5 million tons of soy sauce. The project aims to seize the opportunity of development, to rapidly expand Haitian's production capacity, to actively expand Haitian's market share, to solidify Haitian's position as the world's leading condiment manufacturing and sales company, and at the same time to lay a solid marketing foundation for us to implement the development strategy of diversifying condiment business. Following the concept of “high starting point, high investment and high standard”, Haitian (Gaoming) Phase II construction project has been prepared since 2008 with a total investment of nearly 2 billion RMB. Our annual production scale will exceed 2 million tons after it is completed and goes into production. Haitian Gaoming Phase II Project is not a simple expansion of production, but an application of more new technologies and equipments which will put us in a technologically leading position ahead of the industry for several years and thus our products will be more competitive in the domestic and international markets. And also the technological level of domestic condiments industry will be increased, and therefore we will be built as a world-class benchmarking company of condiments. 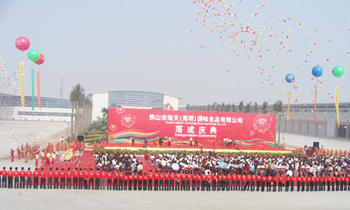 In 2005, Haitian Gaoming Production Base Phrase One was completed with total investment up to 1 billion RMB and annual production capacity of 1 million tons. Like a million-ton aircraft carrier in China’s condiment & sauce industry, we weighted anchor and sailed , which marched a crucial step for us to continue enjoying our nationwide good reputation and to move towards the world. 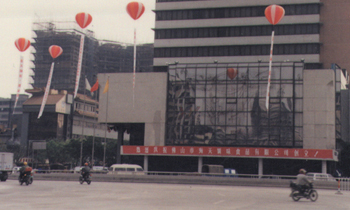 In 2001, Haitian proposed a blueprint for the “Double Hundred Projects” (ie, “Sales Value of One Billion RMB and Production of One Million Tons), which was planed as a solid foundation for our leapfrog advances. At the end of 1994, Haitian restructured the original single state-owned economy into a limited liability company invested by both individual employees and the state. 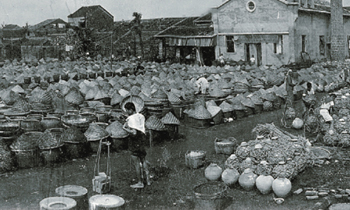 In 1984, approved by the State Development Planning Commission, the state issued a loan of 7 million RMB to Haitian for the expansion project of soy sauce factory. In 1971, the first vacuum bottle filler self-developed by us was launched in the factory. 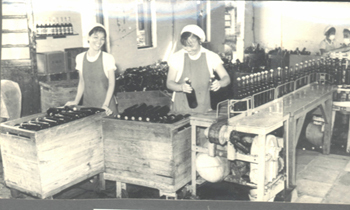 In the same year, our first soy sauce automatic packaging line was completed and put into production. 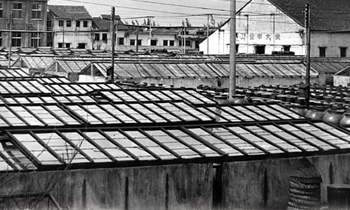 In 1961, our first cement sun-drying pool was built, and we began the experiment of replacing tank into pool for fermenting soy sauce. The reform of replacing the tank with the pool is one of Haitian's great contributions to the domestic soy sauce industry. 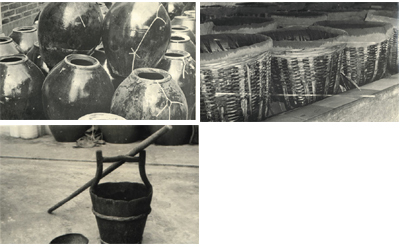 In 1955, 25 ancient sauce shops in Foshan with distinguished strength and long delicacy and famous in Hong Kong and Macao planned for merger and reorganization to form the “Haitian Soy Sauce Factory”, which is the origin of Haitian. 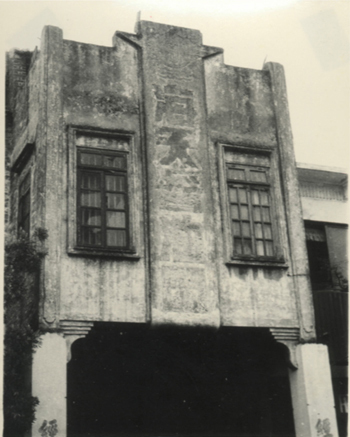 Traced back to "Foshan Ancient Sauce Shop", we got our name from "Haitian (Ancient) Sauce Shop". We have a history of more than 300 years.